Taking Steps to Defeat Cancer in Pets! 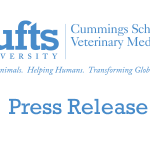 There will be more than 500 feet—or, more accurately, paws—on the ground this Sunday to walk the campus of the Cummings School of Veterinary Medicine at Tufts University. That’s because more than a hundred people and their pets are expected this Sunday to walk and raise funds for the cancer center at the Cummings School of Veterinary Medicine-during the seventh annual Pet Trek, benefitting the Harrington Oncology Program. The 1.25-mile fun walk will take place beginning at 12 p.m. Sunday at the school’s North Grafton campus, and all pets with up-to-date rabies vaccinations and leashed or in carriers are also welcome to join in. Last held in 2006, PetTrek last raised more than $13,000 for Tufts’ oncology program, which provides state-of-the-art cancer treatment for more than 1,500 animals each year. The event will also feature live music from David Rivers of the David Rivers Group, a police dog demonstration from the Worcester Sheriff’s Department, and both human and dog massage. Refreshments will be available for purchase. To register or for more information, visit www.pettrek.org or contact Jennifer Ford at (508) 839-5395. 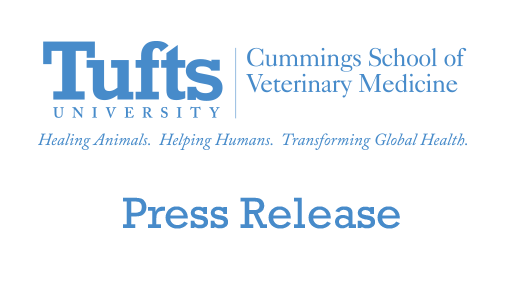 Renowned for developing groundbreaking advances in the treatment and understanding of animal cancer, the Harrington Oncology Program at the Cummings School of Veterinary Medicine is world-renown for originating a novel method of bone marrow transplantation to treat cancer in dogs. In addition, Harrington Oncology Program investigators are working with staff at the University of Massachusetts at Amherst to establish a geographic database for dogs with lymphoma. One goal of this study is to more fully understand how environmental factors cause canine cancer. Most recently, the Cummings School began a partnership with the Massachusetts Institute of Technology’s Broad Institute to learn more about the genetic roots of hemangiosarcoma, a rapidly growing blood cancer in golden retrievers, Labrador retrievers and German shepherds-breeds in which the disease is most common.